The Advanced Imaging Center (AIC) is a research facility dedicated to MRI research. 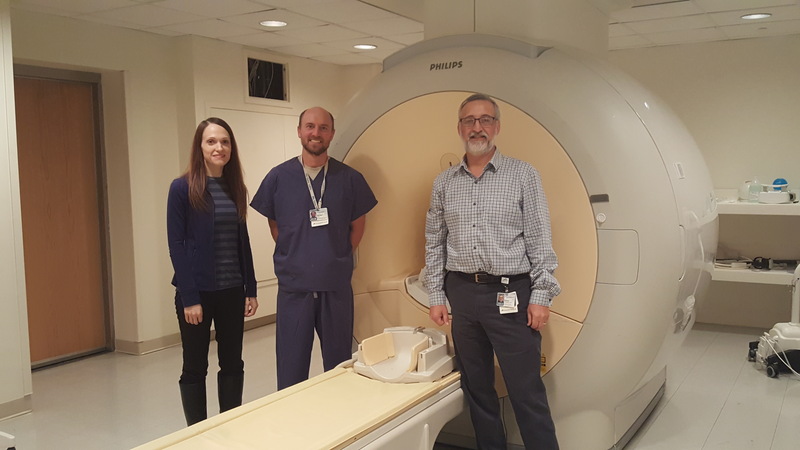 In January 2018 we will be installing the most advanced 3-Tesla Research MRI scanner available, bringing world-class imaging capabilities here to DHMC! We can perform a full range of MRI exams including structural, functional, spectroscopy, DTI, and vascular, and support all types of MRI research including human, animal, and phantom studies. We have MRI Technologists on staff to assist with your study development and scan acquisition, and we also have a full range of peripheral research equipment available. Let us help you take your imaging study from concept to reality!